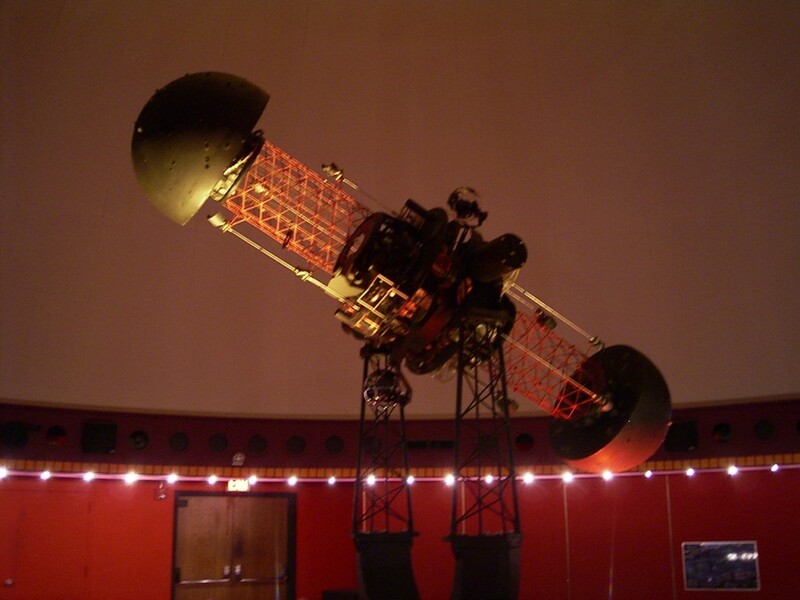 Our planetarium has been a fixture of the West Hartford community for over 40 years. 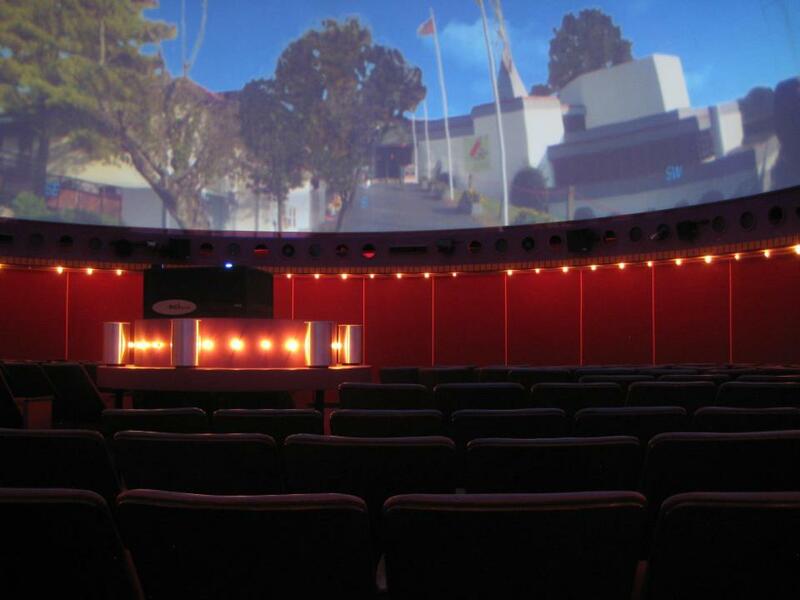 The Travelers Science Dome at the Gengras Planetarium is Connecticut’s largest museum planetarium and the only planetarium located in a Connecticut children’s museum. Immersive, full dome, CGI digital planetarium shows provide the audience with a “you are there” experience unlike any other. Fly to Mars, experience a supernova, or travel to another solar system. The Travelers Science Dome at the Gengras Planetarium is the destination for unique, out-of-this world education in Connecticut. Don’t forget to like Travelers ScienceDome Planetarium on Facebook! Opened in 1968, the Gengras Planetarium was home to a Spitz Transit Projector, nicknamed “Stella”. The STP projector was, at the time, state-of-the-art equipment; capable of rotating on all 3 axes and projecting over 4,000 stars. Only 11 of these projectors were manufactured. Stella remained in operation until 2007. After being removed from the planetarium, Stella was sent to the Planetarium Projector Museum in Bear Lake, California. Upon arrival, Stella was restored by their staff, and put on display for visitors to enjoy. Visit: http://planetariummuseum.com/STP.HTM to see photos of Stella’s restoration. Pictured (above) is Stella, our old Spitz STP projector. Families enjoyed the beautiful star field projected by Stella for four generations. 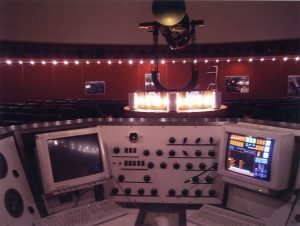 Pictured (below) is the console used by the planetarium staff to control Stella and present programs. In 2007, a major gift from Travelers Inc allowed for the purchase of a Spitz HB SciDome projection system. This upgrade to digital full dome technology catapulted the planetarium into the 21st century. The SciDome projects a seamless digital image that covers the entire dome. Audiences can experience computer animated, immersive movies or a traditional live star show. In many cases they get both! Thanks to a generous grant from NASA the staff of the planetarium purchased computers and software to produce their own immersive, full dome planetarium program entitled, From the Blue Planet to the Red Planet. Please visit the **Show Production** page for more information about this program.